US equities closed moderately weak, sp -8pts @ 2143 (intra low 2141). The two leaders - Trans/R2K, settled lower by -0.5% and -0.8% respectively. VIX settled +3.4% @ 13.46. 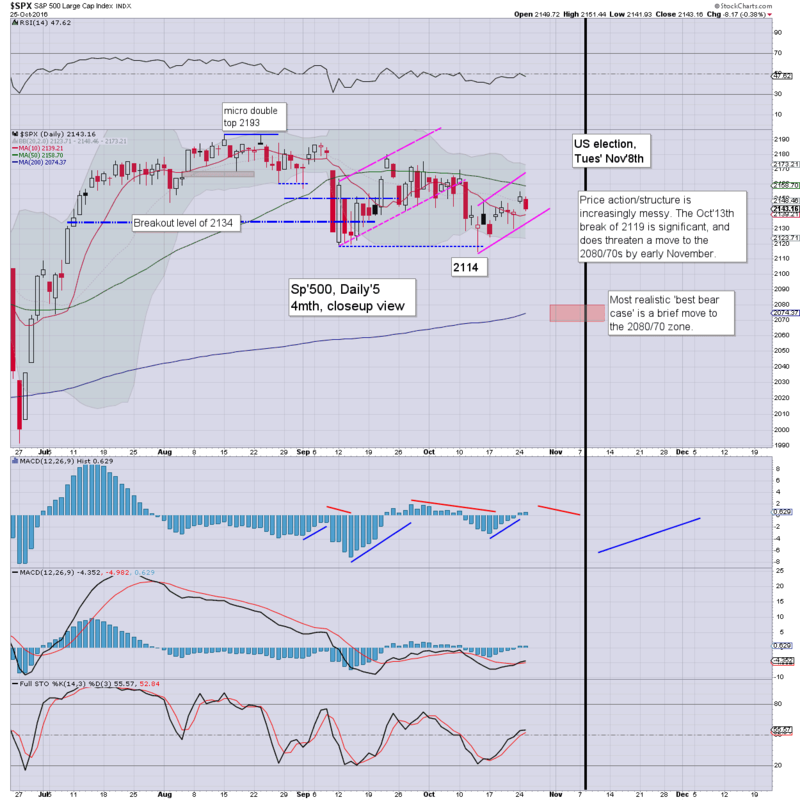 Near term outlook threatens another attempt to around sp'2160, before broader downside to 2080/70 in early November. 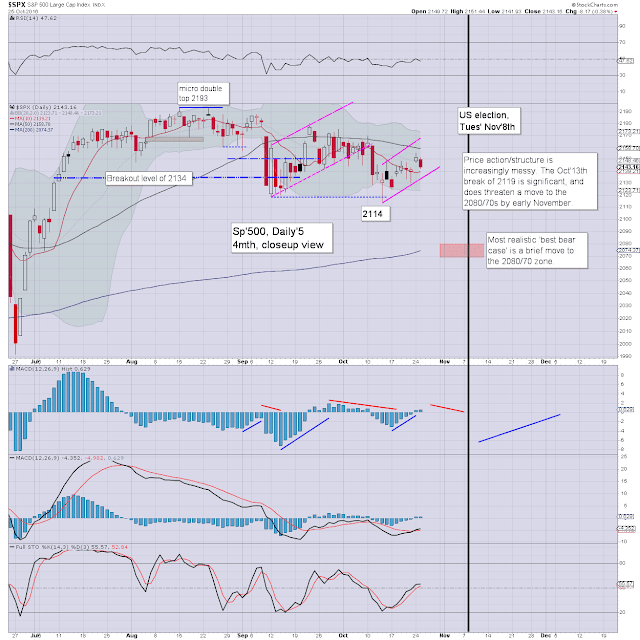 The equity market saw a little weakness today, and we remain stuck within what is a bear flag. The recent low of 2114 looks set to hold into end month. At best, a test of the 200dma in the 2070s seems very probable in the first half of November. 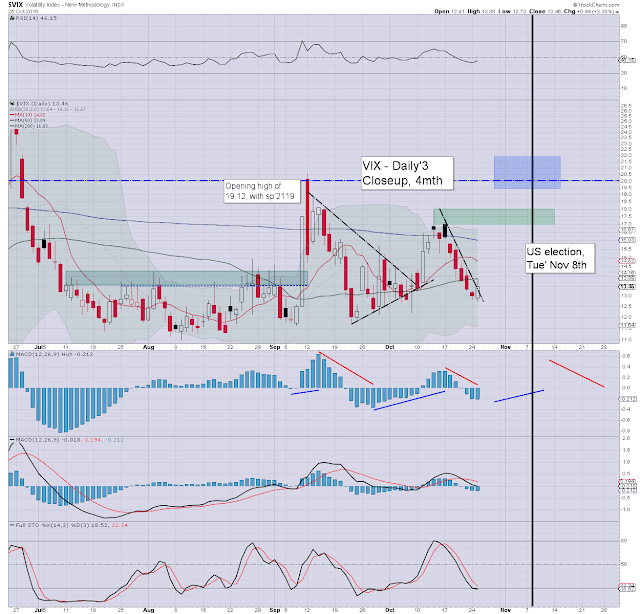 VIX remains broadly subdued, and it remains a struggle just to see the low teens. If sp' cools under 2100 in early November, VIX will likely see a brief move to the key 20 threshold. The first 10 minutes are financial... but it then ventures into all manner of societal/political chatter. Make of that... what you will. ... and I agree entirely with Oscar on Gold. With the USD pushing into the DXY 99s this morning, WTIC oil was under some further pressure. A net daily decline of -$0.56 (1.1%), at $49.96. Its notable that energy bulls can easily sustain the 48/47s without denting the rising support/trend from the Feb' low. 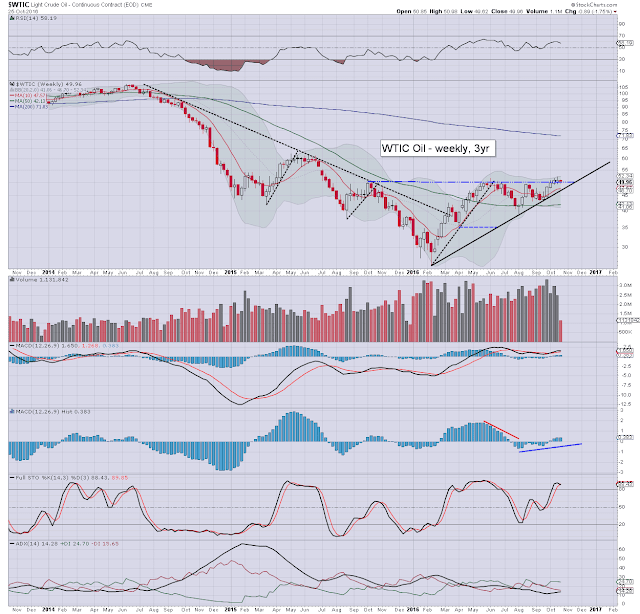 Unless oil is trading under the Sept' low of $43.06, there is little to be bearish about. 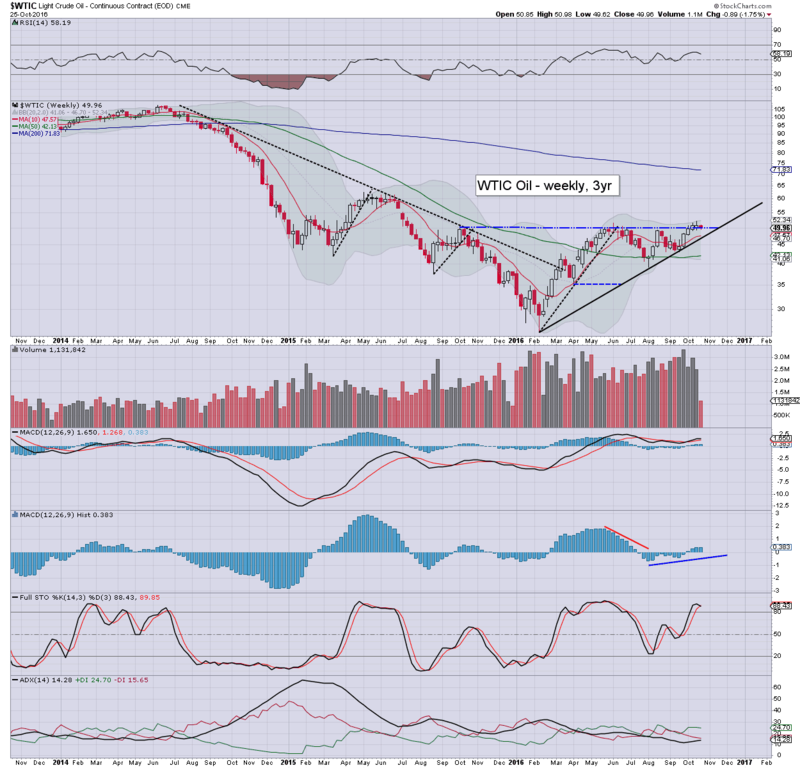 Its ironic that Faber, aka, Dr Doom, was just recently issuing an upside target for oil in the $70s. If that happens, energy stocks.. and the broader market will be considerably higher by late spring/early summer 2017.